This year we will have an opportunity to participate in the fifth edition of the Polish Championship in Testing. For this occasion, I prepared a presentation of how I joined Testing Cup 2016 for the first time and how I won a second place as an individual participant. I want to reveal step by step how I was preparing for this competition, and what techniques I used during each phase. In fact, this is the perfect picture of my everyday testing, that anyone can adapt for themselves. Moreover - the approach I used during the event can be easily mapped into planning and running a testing project. And side by side to my story, I will present examples of real life situations, both in testing and starting a project. I will also share my thoughts on what I could have done better, in hope that this would help future participants and testers in their work. * Title is related to “How to train your Dragon”, which inspired me to tell my story. 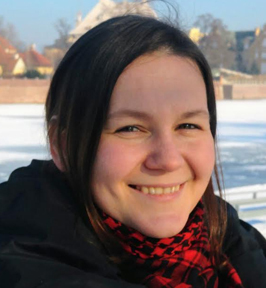 Kamila Mrozek is a quality engineer at Objectivity in Poland and has 3 years of experience in testing. She suffers from Tester Hyperactivity Disorder - she tries to be present absolutely everywhere, learns quickly and constantly search for new ways to improve her testing. Her creativity is boundless and often appears in the form of funny images, written texts for blog or presentations. She believes that nothing is impossible. Her motto is "I can not do it? Hold my coffee."